For the past four years, Charlize Jacobs from Manenberg on the Cape Flats has supported a family of six by maintaining roads and filling potholes around Cape Town. 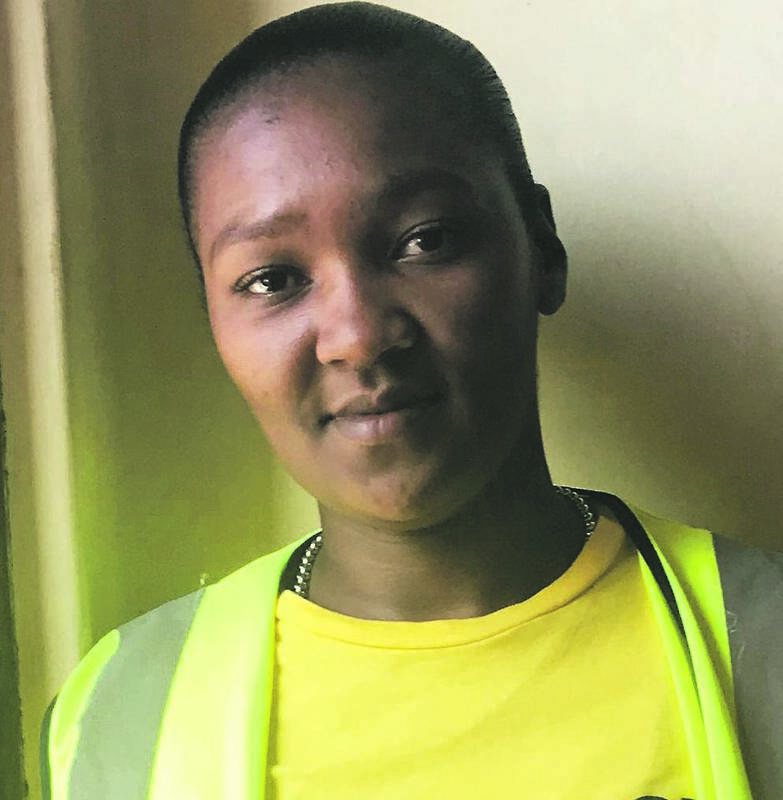 The 27-year-old mother joined the city’s Women at Work road repair programme – part of the Expanded Public Works Programme (EPWP) – as a contract worker in 2015, and last month received her first paycheque as a full-time employee of the city. The contract job, and now becoming a full-time employee, has brought her much joy. “I feel amazing. Words cannot express how I’m feeling,” said Jacobs, speaking from the City of Cape Town’s Green Point depot. As a contract worker, Jacobs earned R1 200 every two weeks. Now her salary will be R7 000 a month and she will have pension and medical aid benefits. She puts food on the table for her mother, her father, her 19-year-old brother and 33-year-old-sister, who are both unemployed, and her seven-year-old son, who is now in Grade 1 at the Rio Grande Primary School in Manenberg. “Yes, I’m the breadwinner,” she said. “It got really tough. Sometimes there wasn’t transport money to get to work, but I managed because I had to. Jacobs clocks in at 7.30am and finishes at 4pm every weekday. The women ply their trade in teams of six; and while Jacobs spoke to City Press, Tahiera Adams (46), Gadija Fortune (22), Kaashiefah Samuels (37), Belinda du Plooy (44) and Nolusindiso Sidlai (31) could be seen busy working on a pothole inside the depot premises, loosening old tarmac with picks, loading material into a waiting digger, then stamping down the fresh asphalt with a shuddering machine that needs two people to operate. Ingrid Brown, the city’s Women at Work project leader, said they had 22 all-woman road repair teams deployed across Cape Town at depots including Hout Bay, Khayelitsha, Mitchells Plain, Kraaifontein and Delft. At many of the depots, women’s toilets and mess rooms had to be built because there were originally only facilities available for men. Also at the depot was Salome Sekgonyana, head of Cape Town’s EPWP, who shook hands with the women in the team, passing on warm greetings. The Women at Work programme, which was founded in 2015, sees women “trained to do repair and maintenance work on roads, footways and storm water infrastructure”, states a subcouncil document. Subcouncils are structures that serve as the link between communities and the city council. Back at the depot, Sidlai, who is from Delft, has also been with the programme since 2015. She was up for a promotion to a full-time position last month as well.